Plaque placed in 1953 next to the CSO No. 4 oil well by Standard Oil of California and the Petroleum Production Pioneers.\ Photograph no later than 1963. 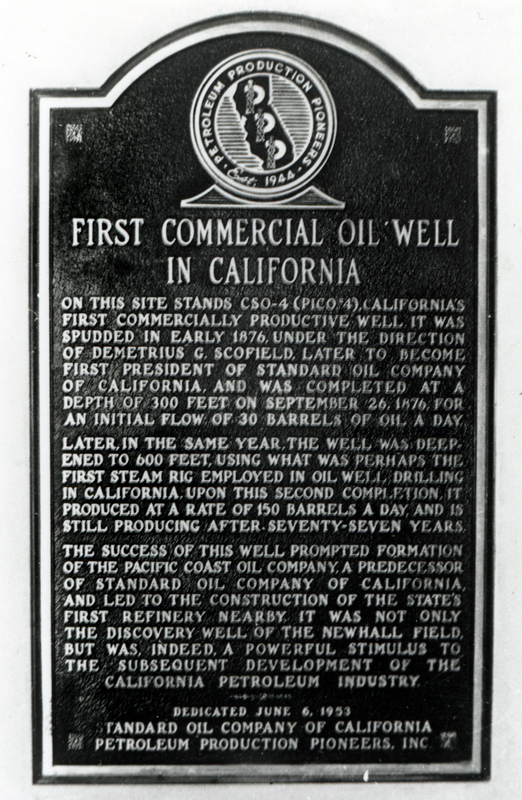 Plaque reads: "First Commercial Oil Well in California / On this site stands CSO-4 (Pico #4), California's first commerically productive well. It was spudded in early 1876, under the direction of Demetrius G. Scofield, later to become first president of Standard Oil Company of California, and was completed at a depth of 300 feet on September 26, 1876, for an initial flow of 30 barrels of oil a day. / Later in the same year, the well was deepened to 600 feet, using what was perhaps the first steam rig employed in oil well drilling in California. Upon this second completion, it produced at a rate of 150 barrels a day, and is still producing after seventy-seven years. 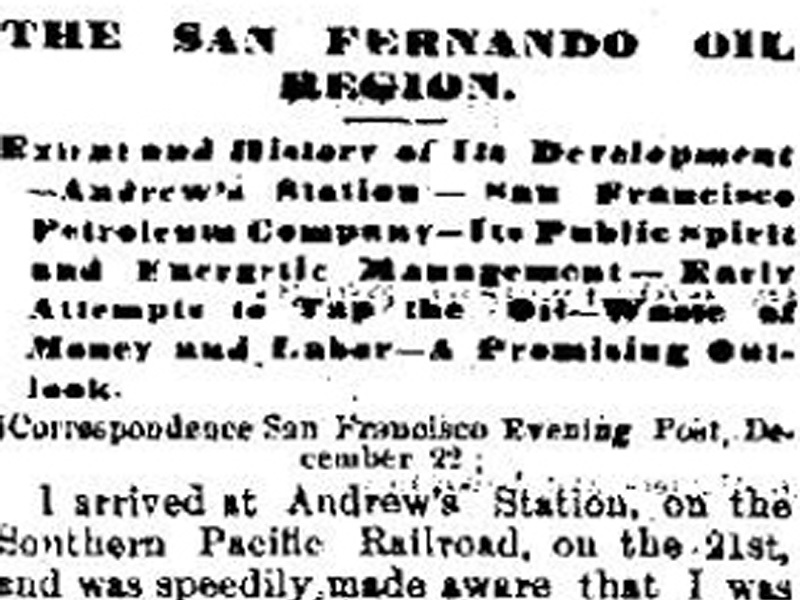 / The success of this well prompted formation of the Pacific Coast Oil Company, a predecessor of Standard Oil Company of California, and led to the construction of the state's first refinery nearby. It was not only the discovery well of the Newhall Field, but was, indeed, a powerful stimulus to the subsequent development of the California Petroleum Industry. / Dedicated June 6, 1953 / Standard Oil Company of California / Petroleum Production Pioneers, Inc."
After CSO No. 4 and Mentryville became a two-part State Historic Landmark (516 and 516-2, respectively), a small bronze plate was added immediately below this 1953 plaque, reading: "State Registered Landmark No. 516." 1. Perhaps. 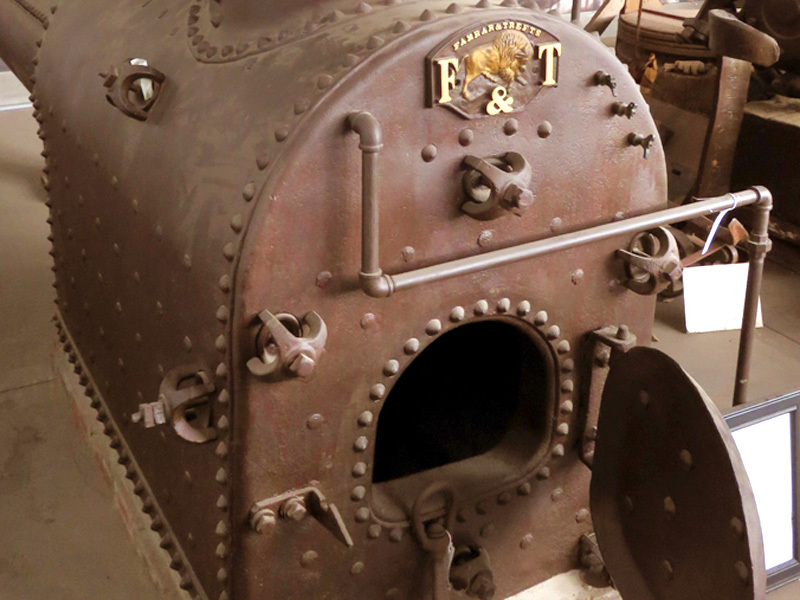 It is believed a steam rig was used in nearby Towsley Canyon two years earlier. 2. Update: The well was capped in 1990. 3. The Pioneer Oil Refinery on Pine Street in Newhall. AP2014: 9600 dpi jpeg from copy print.